I do not have good hand-drawing abilities. When I have approached the visual arts at all, I have typically resorted to simple computer-generated images such as Java cartoons or space-game maps. However, once or twice in my life I have hand-drawn something that didn't come out too badly. 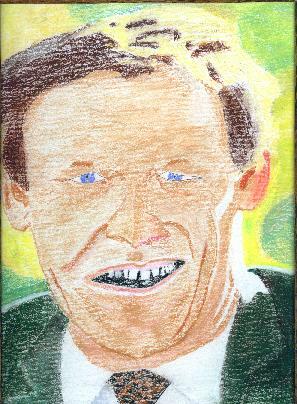 A picture of Jean Chretien (later Canada's Prime Minister), also available in full size, that I drew from a book cover in 1986. Note: This picture was later published on page 21 of the January 2004 issue of the Fredricton community newspaper "Fred". 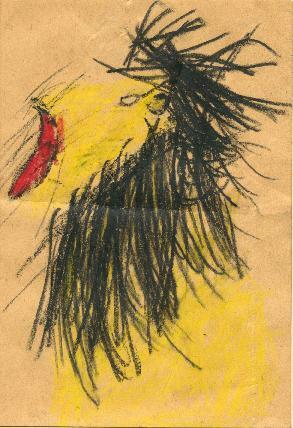 A picture of a lion, also from a book-cover, that I drew as a young schoolboy around Grade 4.